When Erin Fitzpatrick got accepted into Old Dominion University, she thought her college plan was set. Then she found out about Tidewater Community College’s Women’s Center Stem Promise Program. Two years of tuition and fees would be paid for. She’d complete two years of college without accruing any debt. She’d receive specialized support from academic advisors and mentoring from TCC’s Women’s Center. The high-achieving Kempsville High School student was one of 19 accepted into the program last fall. 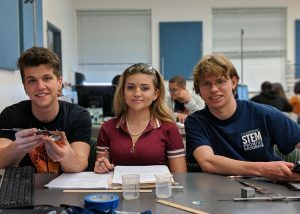 The TCC STEM Promise Program awards up to 20 scholarships each year to qualifying students. The program, which pays tuition and fees for two full academic years, is designed to boost the number of degrees in science, technology, engineering and mathematics awarded to females and minority students. Anyone is eligible to apply for the scholarship. Ethan Hoskins-Propst, Fitzpatrick and Isaac Vanderley, who is also a STEM Promise Program scholar. Fitzpatrick is no stranger to the Virginia Beach Campus and the Advanced Technology Center (ATC). 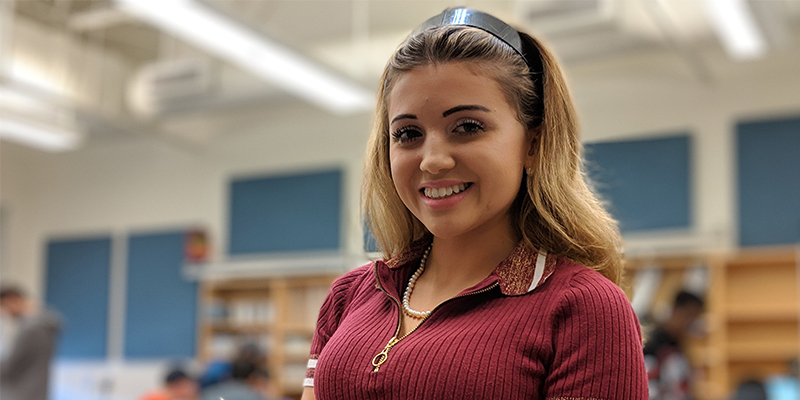 While attending Kempsville, she was part of the engineering technology program offered in the ATC through Virginia Beach Public Schools. Applications are due for the STEM Promise Program by March 1. For more information, contact Jaedda Hall, program coordinator, at jhall@tcc.edu.